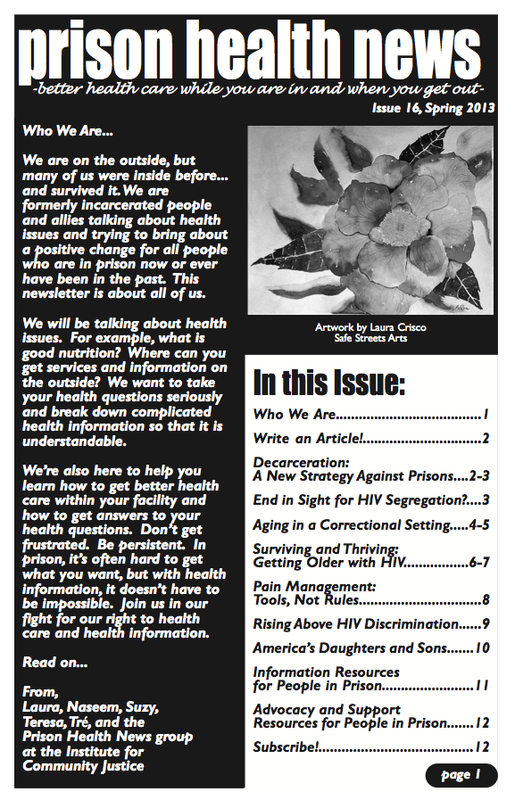 Plus: Winter 2013 was one of my favorite issues of Prison Health News, with an article by Khalfani Malik Khaldun on how folks in solitary confinement in Indiana survive medical neglect, an interview with Joshua Glenn of the Youth Art and Self-Empowerment Project, a tribute to our mentor John Bell who recently passed away, and several articles on navigating mental health. Download it here. And don’t miss Summer 2012!